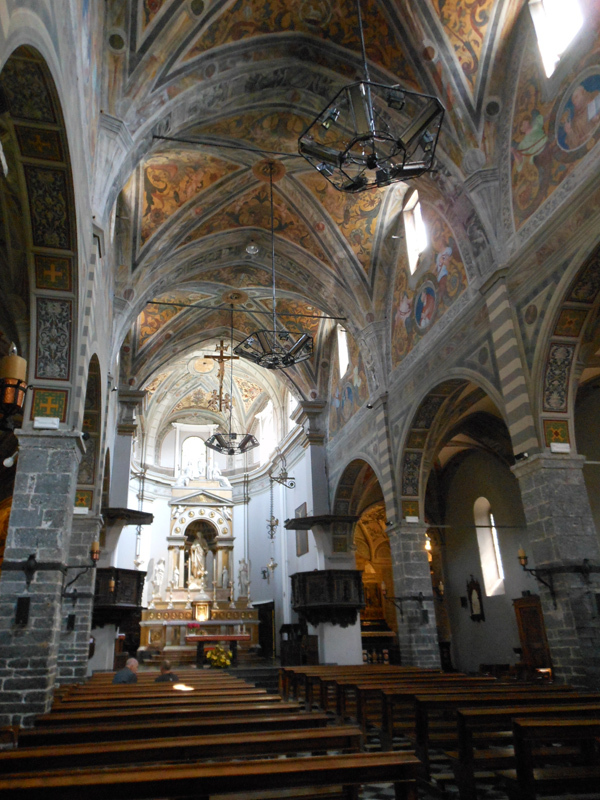 The parish church of Bellano , of St. Nazaro and Celso , is situated inside the village, near the Gorge entrance. In 1341 , when the church was dedicated to St. George , the building was destroyed by a flood of Pioverna creek and then it was rebuilt. So , in XIV century the new church was dedicated to St. Nazaro and Celso. The building has a late Romanesque style , its façade hosts a big rose window and a tabernacle with a marble statue that represents St. Ambrogio. On the central arch you can admire amazing frescos dated 15th – 16th century , two confessionals made in wood and the baptistery in marble. During the centuries the three aisles inside part was renovated few times : the sacristy and the bell tower , for example , were built in 1567. The importance of the church is also dues to the precious late gothic processional cross and to the rich collection of ancient liturgical objects. 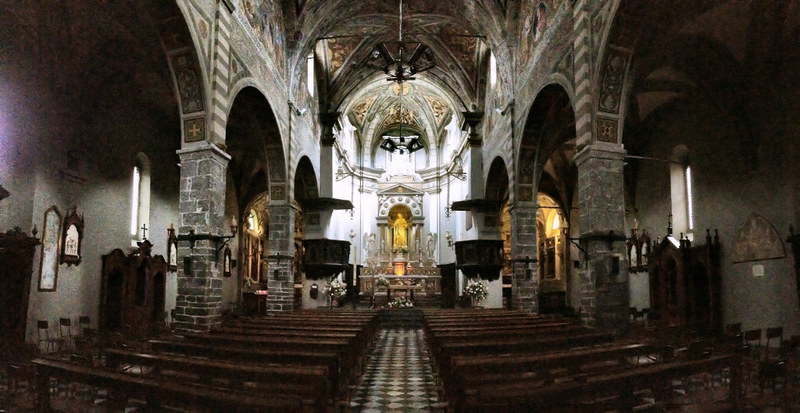 The parish church of Bellano , of St. Nazaro and Celso , is situated inside the village, near the Gorge entrance. In 1341 , when the church was dedicated to St. George , the building was destroyed by a flood of Pioverna creek and then it was rebuilt. So , in XIV century the new church was dedicated to St. Nazaro and Celso. 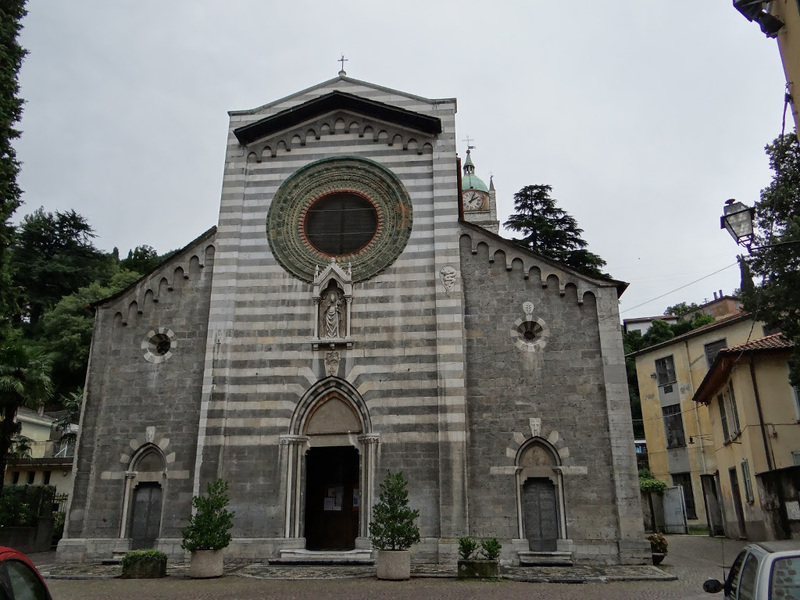 The building has a late Romanesque style , its façade hosts a big rose window and a tabernacle with a marble statue that represents St. Ambrogio. 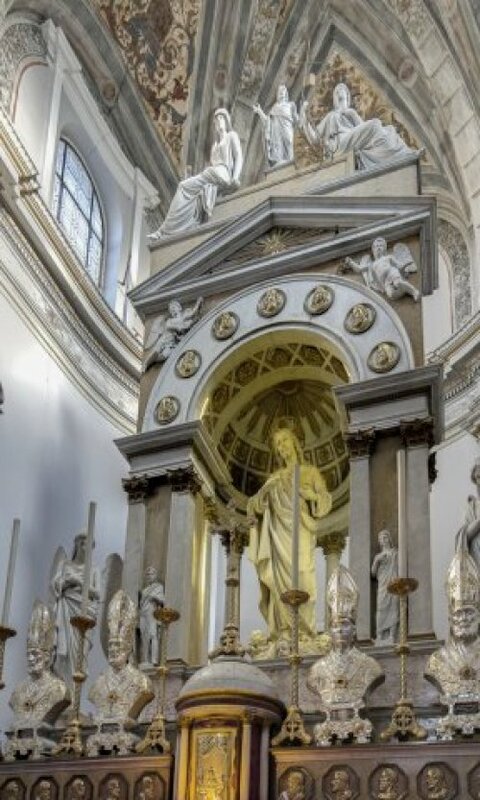 On the central arch you can admire amazing frescos dated 15th - 16th century , two confessionals made in wood and the baptistery in marble.